The article focuses particularly on the activities of the British Explorer Sir Samuel White Baker who visited Acholi region in his role as an explorer as well as his second role as Governor of Equatoria. Baker visited Patiko on two occasions hence his pivotal importance in Patiko history which inevitably is intertwined with the history of Acholi, of Equatoria during Anglo-Egyptian rule and ultimately the history of Uganda. In fact, on his second visit he built what is now known as Baker’s Fort at Ajulu in Patiko. The other governors of Equatoria are also covered in the article, because they too played their parts in the late 19th century history of Patiko, in so far as Patiko (Acholi) was within the old Anglo-Egyptian Equatoria region. Originally the Anglo-Egyptian condominium was meant to cover the entire Great Lakes region, including present day Uganda. I have, in this article excluded the mainstream history of Patiko chieftainship, which is dealt with in a separate paper. This paper traces the history of Patiko from 1840 to date. It covers Patiko’s many conflicts with Kutoria Arabs (the official Khedive administration officers) and the Jadiya Arabs (the slave dealers). It also covers the history of succession and eventual three way split of the kingdom (into Kal, Pugwenyi and Pageya sub clans) during the early 20th century, during the reign of Rwot Okelo, son of Rwot Omo Oya and father of Rwot Lagara. Please note that strictly speaking the title ‘Rwot (Rwodi pl)’ in Acholi, can also be translated to ‘King’. This is because before colonial rule a Rwot in Acholi was the ruler of a sovereign clan state but after Acholi fell under colonial rule the clans lost their sovereignty and therefore it becomes more accurate to translate ‘Rwot’ as chief. In this article I have used the title without necessarily following this strict interpretation. 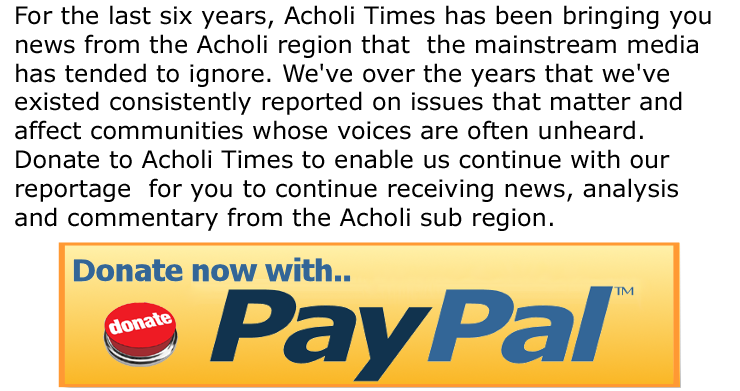 The article is only an aspect of Acholi (Patiko) history. It should be read in conjunction with the more detailed and more comprehensive official version of Patiko history written by Patiko Kal Kwaro, and published in Acholi Times. Please note that the spellings of some names of people and places, especially Arab names may not be accurate. According to her book “Baker of the Nile, Dorothy Middleton (Pg.119-120), Baker and his wife Florence arrived in Obbo in Acholiland (S Sudan side) and lived with Rwot Katchiba who though a Lotuko, as I found out in my research, was a compromise candidate for Obbo chieftainship when the royal clan could not agree on a successor. It is uniquely an example of Acholi magnanimity, unheard in the histories of other African tribes, that someone outside the tribe could be appointed to the throne, who is not a member of that clan or of the tribe. The only other similar exception, also in Acholi history was the chieftainship of Rwot Cira Lakwonyero of Patiko who was an Alur, but was raised within the court of Patiko royal family, according to Lacito Okec, pg 81, “Tekwaro Ki Ker Lobo West Acholi”. In his account, Baker perhaps because Rwot Katchiba(Kaciba) was a Lotuko, incorrectly thought that the area was in Lotukuland. The otole (war) dance for welcoming the Bakers originally painted in water colour is displayed on page 120 in “Baker of the Nile” by Dorothy Middleton. Otole is definitely not a Lutuko dance. Soon after his arrival in Obbo, Baker indulged in his favourite sport of hunting, sometime disappearing from home for days at a time. He resided in Obbo for over six months, spending his Christmas of 1863 at Rwot Katchiba’s palace. According to Bakers own account in “The Stolen Woman”, on 5th January 1864 Baker and his convoy left Obbo for Shua (Chua), now Acholiland (Uganda) where he met Amabile de Bono the Maltese trader at Falaro (Palaro), the village next to Patiko. In fact contrary to popular believe in Uganda, it was Amabile de Bono who was the first Whiteman or European to set foot within the present borders of Uganda, in1861. Explorers Speke and Grant while on their way from Zanzibar “discovered” the source of the Nile in Jinja the following year, 1862. After their ‘discovery’ the two explorers travelled via Acholiland where they rendezvous with de Bono before proceeding on to Khartoum, Cairo then back to England. After that Samuel Baker left for Bunyoro to meet the Omukama Kamrasi, arriving at Karuma on 22/01/1864. He travelled via Atura, where he crossed the river to Buruli. He had a major row with the Omukama Kumarasi, who had demanded that Baker should give up his wife Florence for him. After the big quarrel Baker then proceeded to Lake Albert. After a few days journey he ‘discovered’ Lake Albert, on 15/03/1864 and named it “Albert Nyanza” after Queen Victoria’s late husband. He then proceeded on to Karuma. According to Baker “This was the greatest waterfall of the Nile”. He named it the Murchison Falls, in honour of England’s President of the Royal Geographical Society. According to him, it was the “most important object throughout the entire course of the river. No doubt remained that the river at Murchison Falls was the river of Karuma”, he concluded. “The exit of the White Nile from the Albert Nyanza had been established and the link between Speke’s Victoria and Baker’s Albert satisfactorily established”-(pg.135, Baker of the Nile). On 17/11/1864, a huge party of some 1,000 people crossed the river and set their course for Shua. It would be an understatement to say that Samuel Baker and his wife Florence felt unwelcomed by Omukama Komarasi, as according to him, King Komarasi had “Allied himself to the Turks; he had conceived the most ambitious views of conquering Uganda (read Buganda), and restoring the ancient kingdom of Kitwara (read Kitara). What Baker is referring to was clarified by Sir John Milner Gray, based on Sudan Intelligence Report No.96 attached to his article entitled “Kabarega’s Embassy to the Mahadists In 1897”, Uganda Journal Vol.10.No.1 of March 1955. According to the article Mr Okello Mwaka, a renowned Acholi interpreter at the time was assigned to accompany the Omukama’s delegation to Khartoum and persuade the Mahadists or the Turks to send troops to help fight along Bunyoro army against the combined Ganda-British forces. Other Banyoro saza Chiefs accompanying the men were, “Lubulwa, Mohenda and Manyara”. They went only as far as Rejaf, where they were captured and taken to Bor in Dinkaland. The mission turned out to be a disaster as out of about 100 soldiers most of them were killed or died of starvation .The Acholi Interpreter, Okello Mwaka Lengamoi and three Banyoro named Kizza, Tibiata (sp?) and Basekisonga(sp?) returned to Uganda. The first two returned to Masindi and the later to Hoima respectively. It should be possible to trace these named individuals today, through their offsprings who are still alive today. On page 143 Baker could not help admitting that: It was a great relief to leave behind the wet and overgrown countryside grass of Unyoro for the pleasant land of the Shua (Chua in Patiko), where the grass was low and of fine quality and the climate dry. The contrast could not be more marked, as the Bakers on their arrival in Shua were greeted by hysterical shouts of joy and ululation by the people of Shua. In “Baker of the Nile”, page 143, the author, Pat Shipment, quoting from Baker’s own notes writes: “The native women came running to greet Mrs Baker and were awarded by the present of a cow for the dance they executed in her (Florence) honour”. The dance was well captured in Baker’s drawing on page 144/145 by Dorothy Middleton in the same book (op.cit). Before Baker entered Acholiland in 1862 at Obbo he was already appointed by the Khedive in 1859 as Governor of Equatoria, a post which he held until 1st April, 1863 when he left the post to return to England. Gen Charles Gordon took over from him, until 1878 when Emin Pasha (Eduard Schnitzer) was appointed to replace him. Gordon then turned his attention to commanding the war with the Mahadists until he was murdered by them on 26/01/1885, only two days before the arrival of Lord Kitchener’s reinforcement. Please note here that “the government” in this case Baker means the Anglo-Egyptian condominium, a partnership in colonialism. After this first visit to Sudan and Uganda Sir Samuel Baker returned to England via Gondokoro, Khartoum, and Cairo then to England. 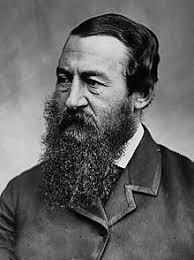 1872-1873: On 6th March 1872 Baker again re-entered Acholiland for his second tour. Just like he did on his first visit in 1962, he lost no time and on 1st April, 1872, he set off for Bunyoro to meet the new Omukama of Bunyoro king Kabalega. Unfortunately, Baker’s second visit to the kingdom met with even more resistance. On 8th June, 1872 King Kabalega fought battle with Baker and his group, causing Baker again to return to Acholiland hurriedly, just as he did on his first visit(in 1864) during King Komarasi’s reign. With the benefit of hindsight, this resistance to Bakers’ advance southwards help halt the expansion of the Anglo-Egyptian rule and saved the entire Great Lakes region from falling in to the hands of Arabs. People of the new South Sudan republic remember only too well what it means to be ruled by Arabs. This article is an excerpt from a collection of research papers on Acholi history by Paul R Kilama. Information contained in the article was gleaned from various sources, as cited herein. 1859-1862: Sir Samuel White Baker(1821-1893); 1869-1873: Sir Samuel White Baker(1821-1893); 1873-1885: Gen Charles Gordon (1833-1885).